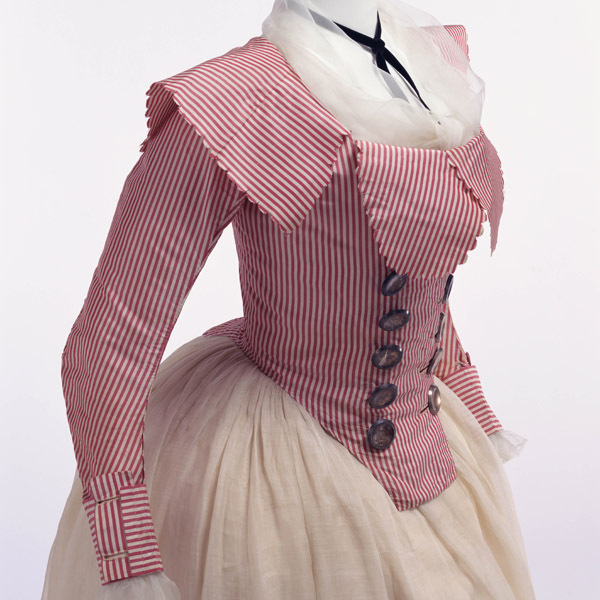 Pale blue striped silk; "compères" front; matching petticoat. 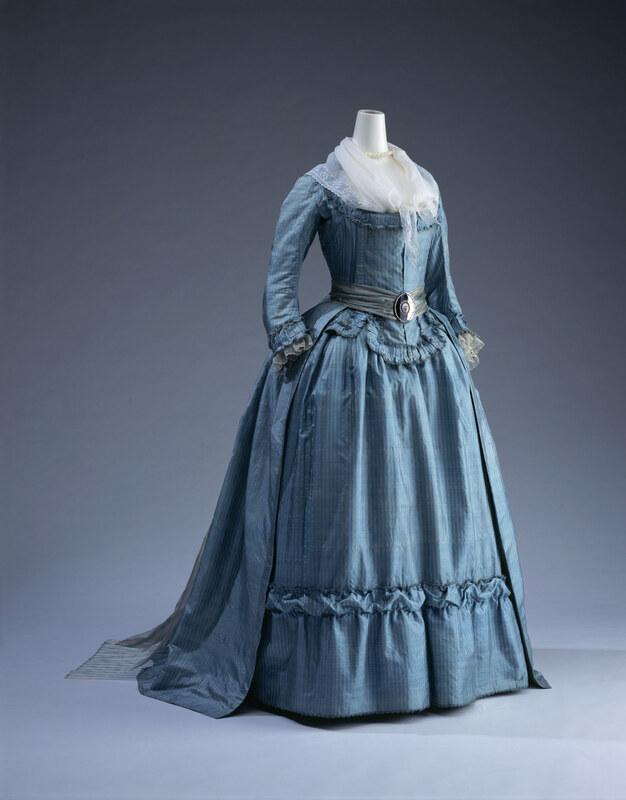 A dress of a blue and pale blue thin-striped pattern, along with a soft luster. 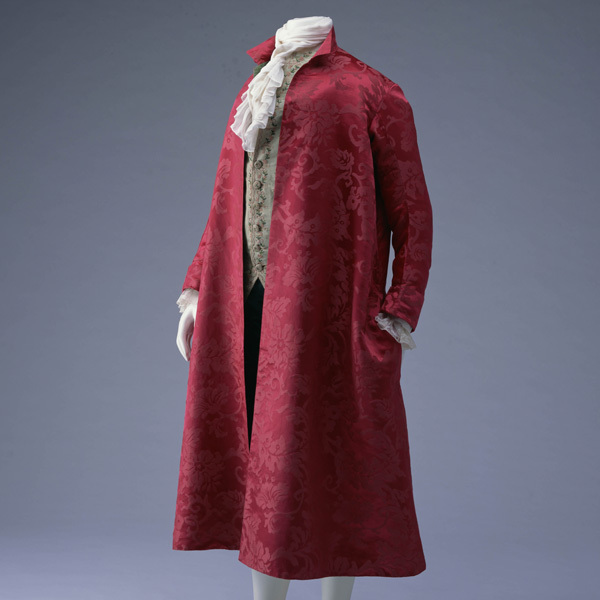 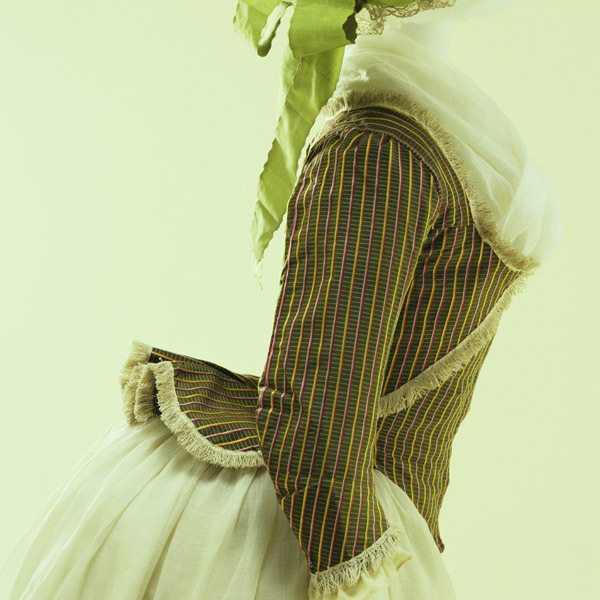 In order to pull up the gown's hem, a cord is attached to it, which makes it possible to wear as robe à la Polonaise, as well. 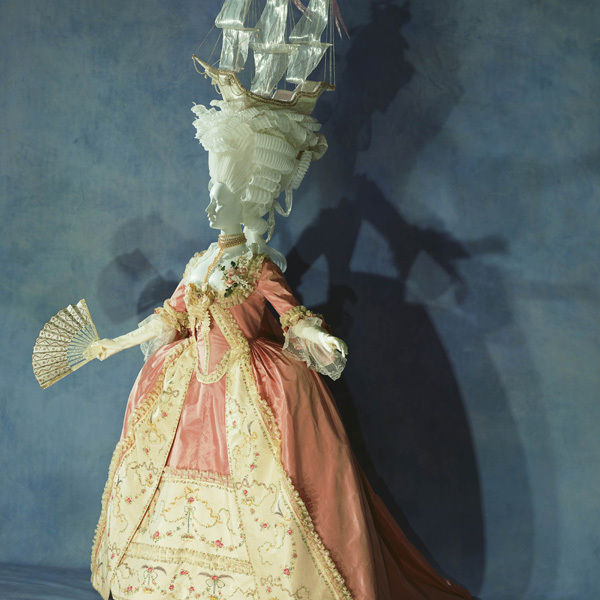 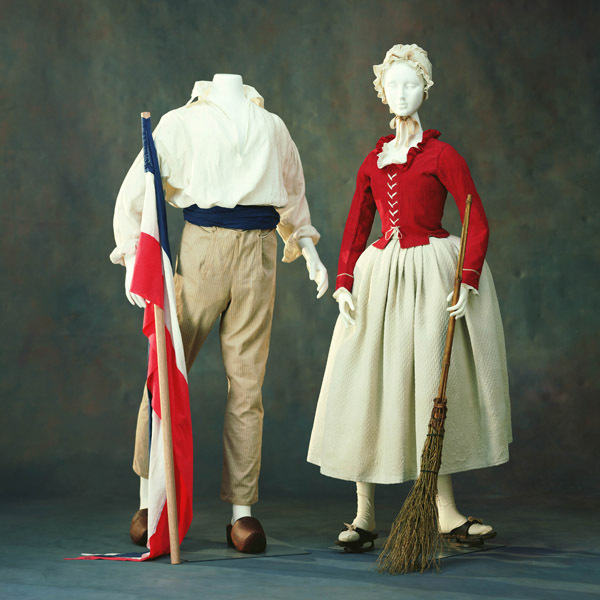 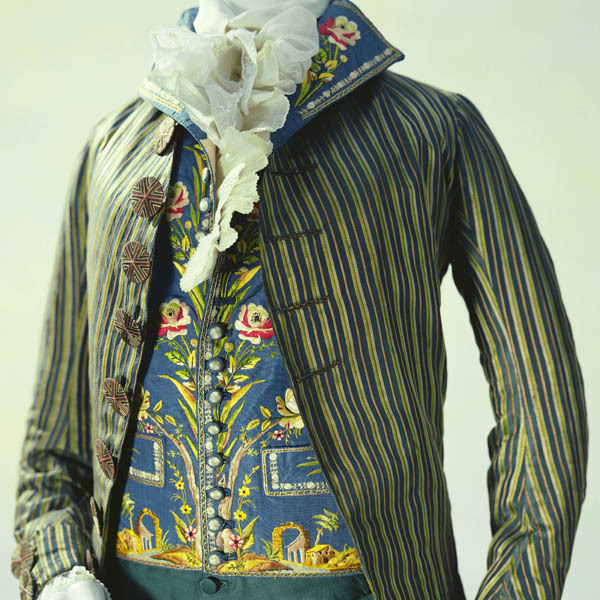 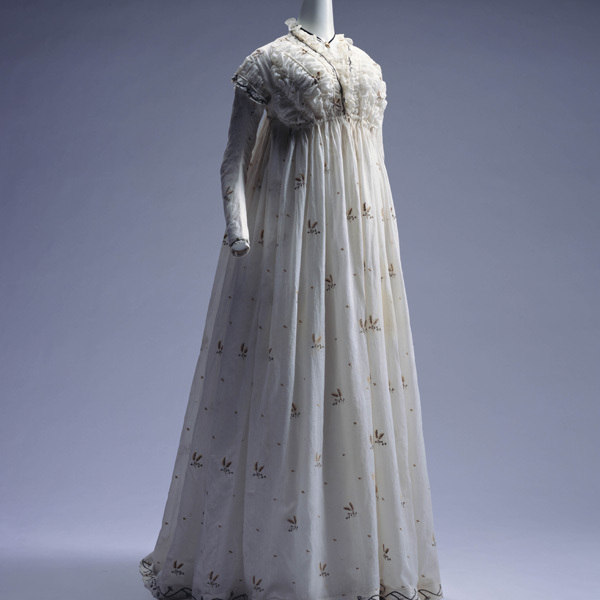 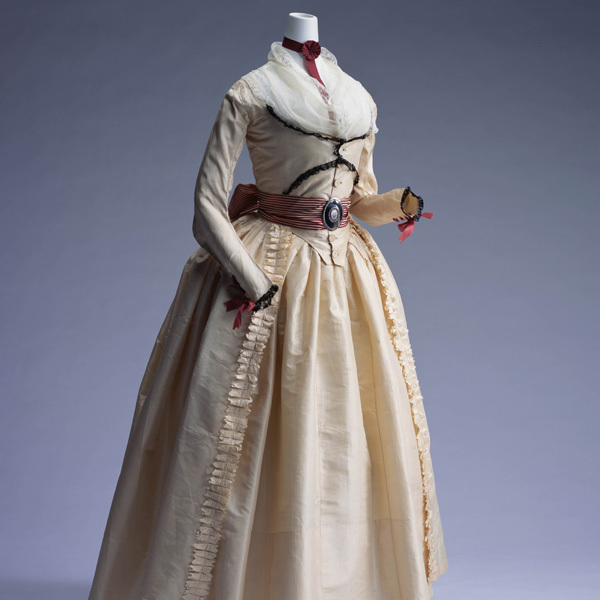 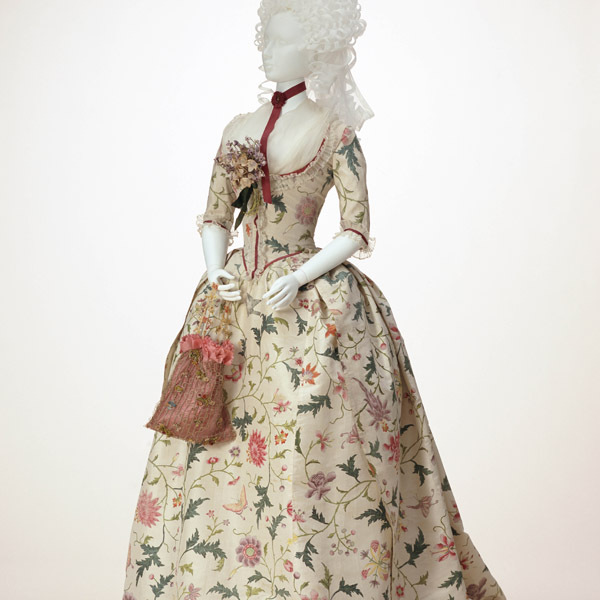 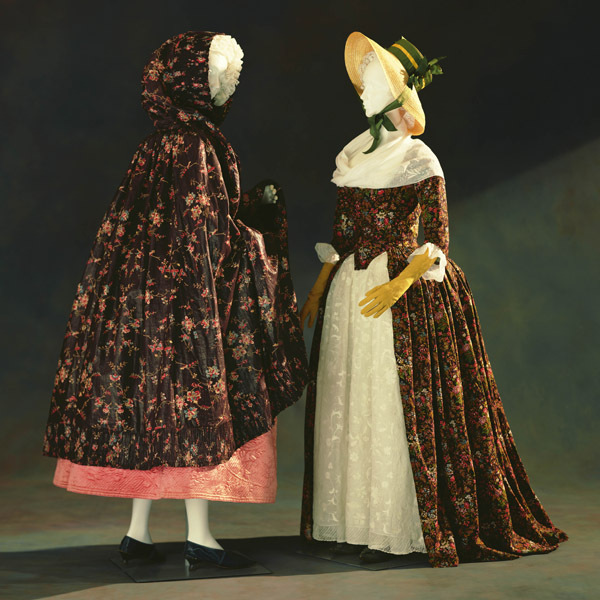 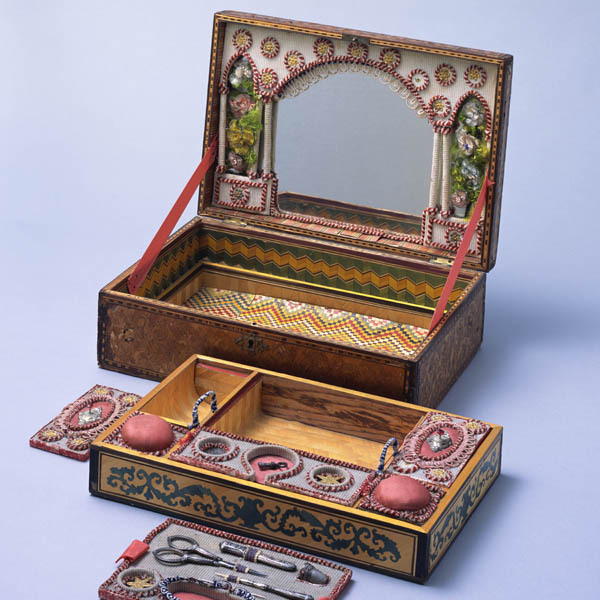 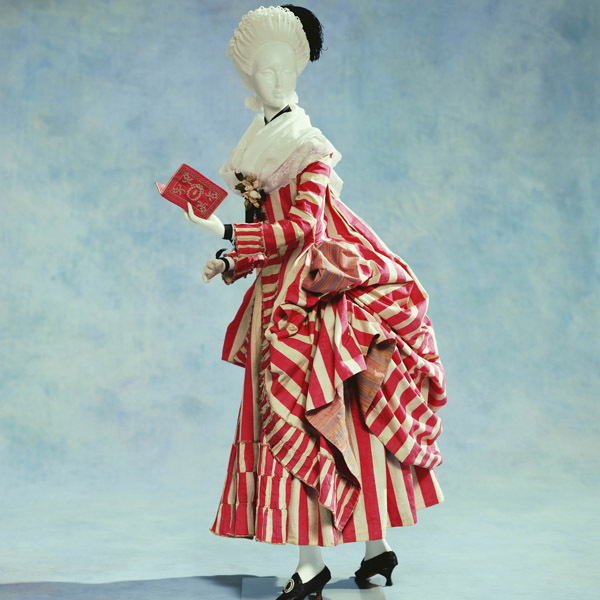 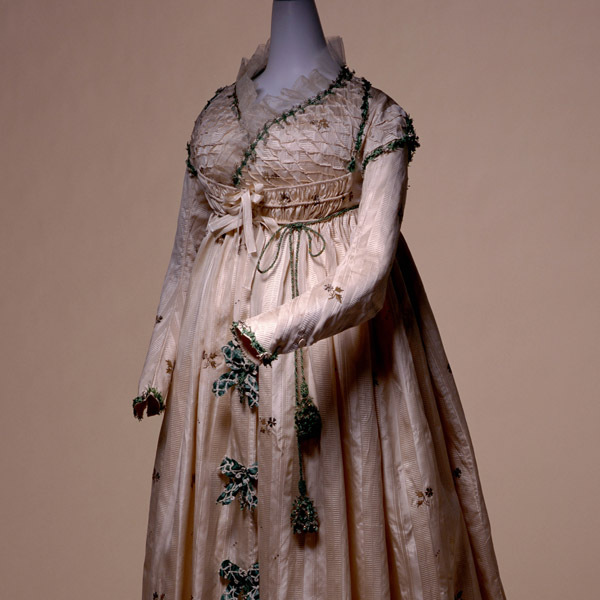 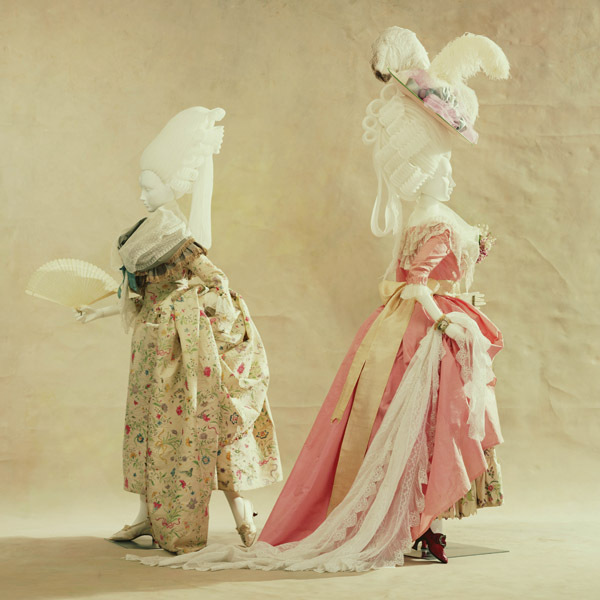 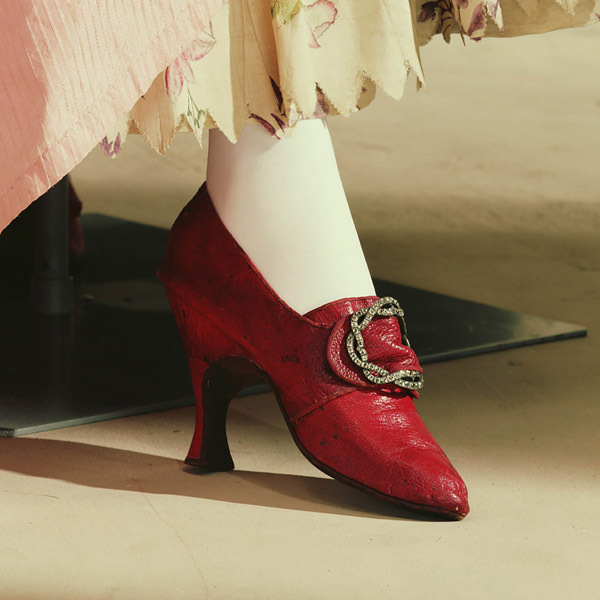 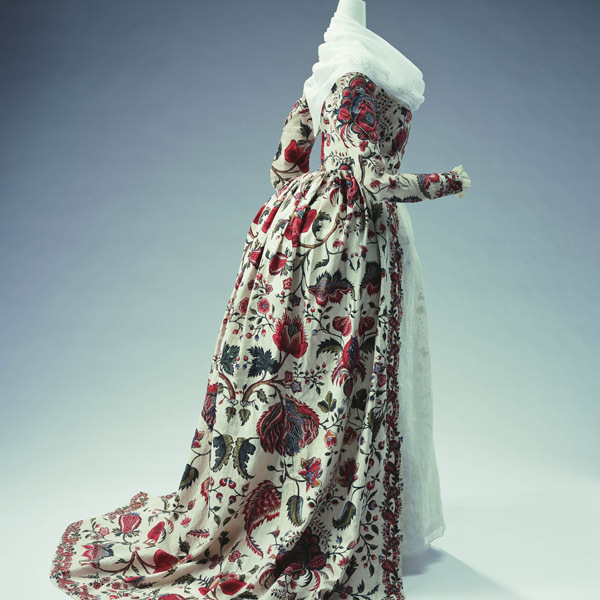 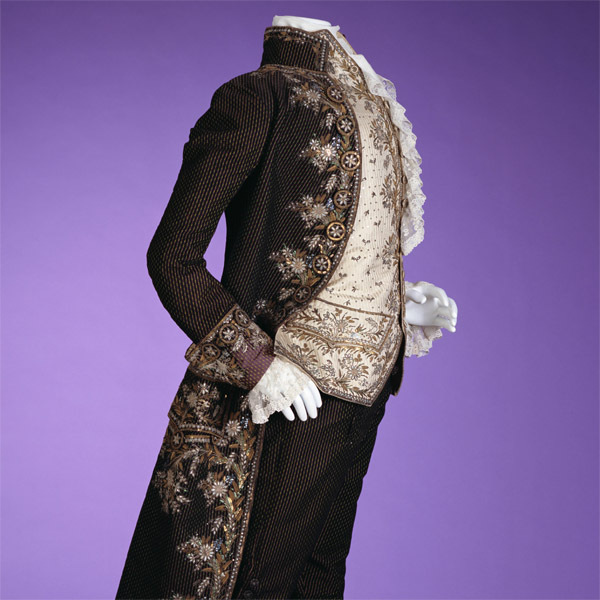 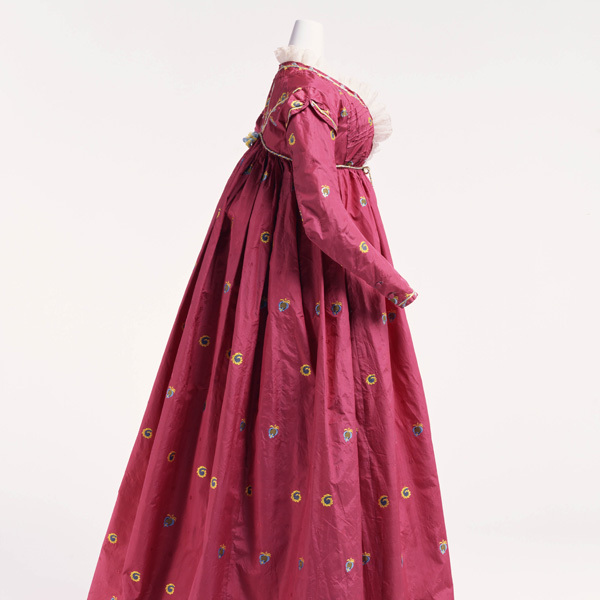 In the latter half of the 18th century, clothing went toward simplification in particular women's clothing advanced toward a functional direction without the formality. 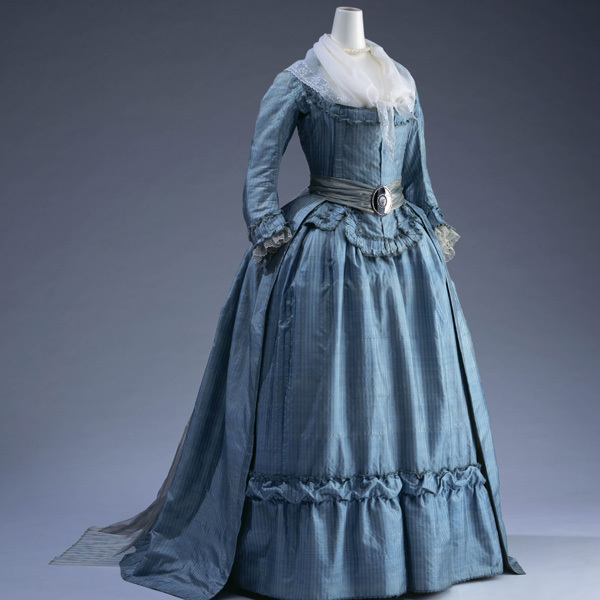 Even textiles for dress with a light texture entered the mainstream. 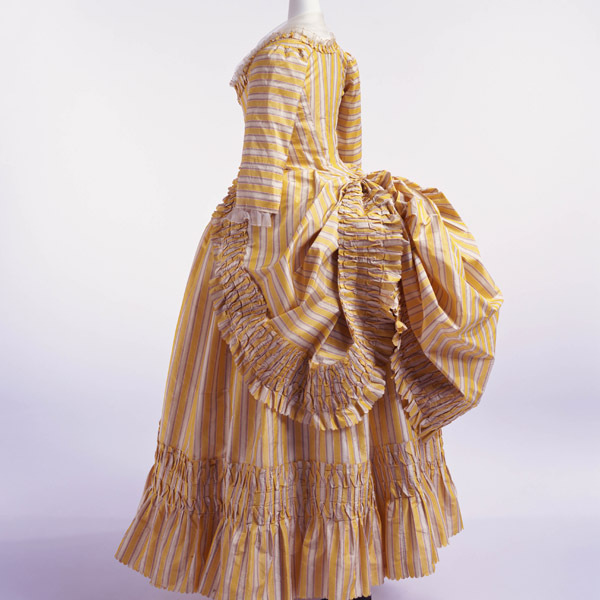 Moreover, the preference to striped patterns that became the fashions that involve all the classes from this period also shows such a tendency.